one interesting fact about Aadhar card is that newly born kid is eligible for Aadhaar card. This Proof is available for both Indian and foreigners who residing in India can apply for Aadhar card. Now day Aadhaar Card is the one important document if you want to open new bank account or get a Jio sim card. 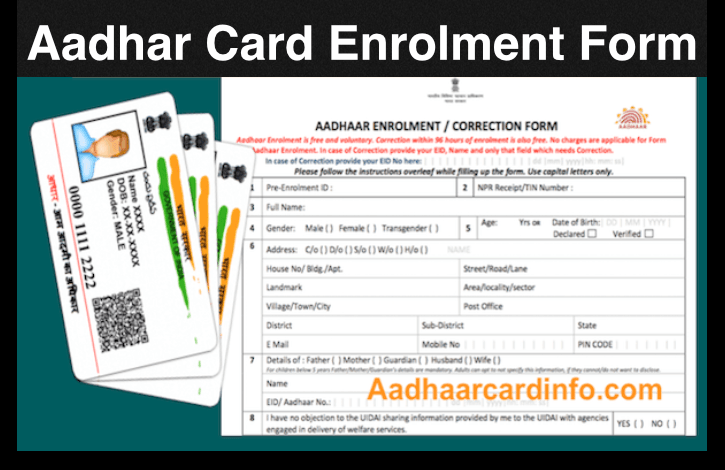 currently, you need to apply for Aadhaar Card through offline Aadhaar card center or you can also download Aadhar card enrolment form and fill your detail than you submit to enrolment center. 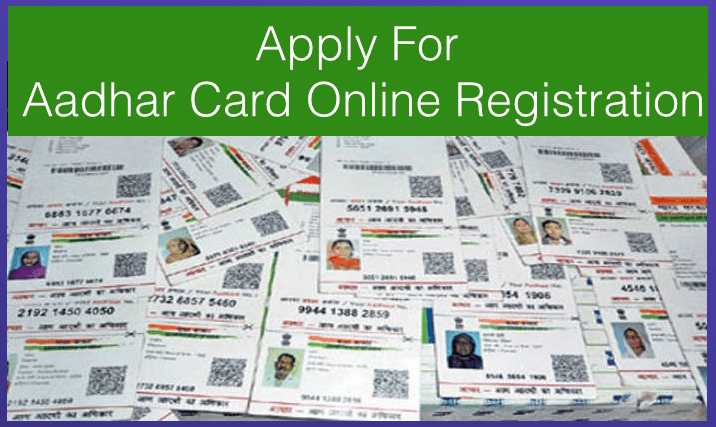 For the complete guide on Aadhar Card Online Registration. Aadhar Card Enrollment Form is filled only in capital letters or you can say uppercase letters. Generally, the capital letter is used because of it clearly visible. 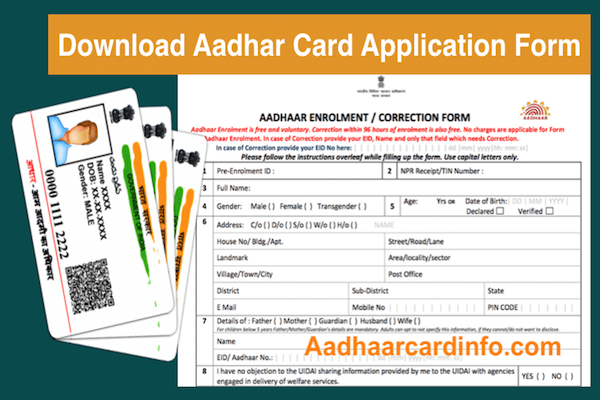 if your handwriting is worse than also your form will easily recognize which reduce the mistake made by Aadhaar card center executive. Fill your form with the good quality pen. 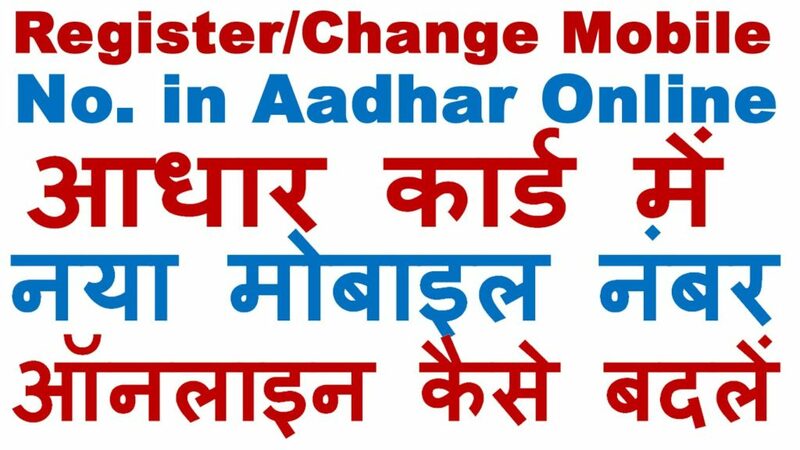 Also Read: Aadhar Card Photo Change Online You Must Do this For Update! This form contains 11 important fields which need to be filed correctly by the applicant or your form might be rejected due to wrong data. All fields are not compulsory so I suggest you please fill only those information which you are sure or if you have any kind of query regarding form than ask for Aadhaar card executive. 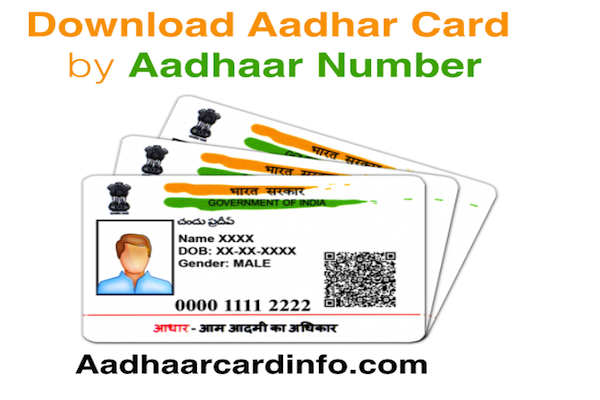 You need to carry your original document along with your Aadhaar Card enrolment form. Once your Aadhaar enrolment form is filled up, visit your nearest Aadhaar center to submit it along with other documents. 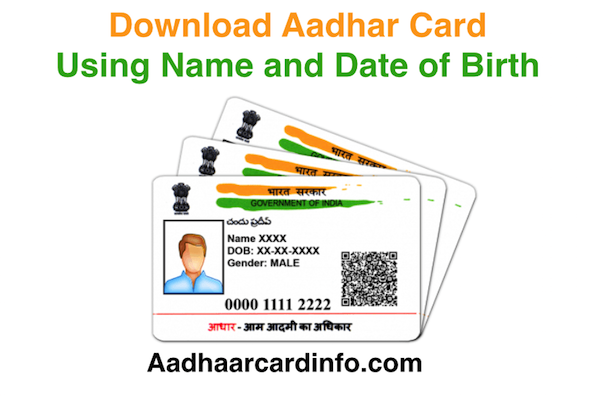 Firstly, you need to visit Aadhaar card enrolment center with your latest photo along with address and Identity proof. once your number for Aadhar card process you can need to tell your personal detail and soon they will take your iris scan and fingerprints. once everything is complete you need to check all detail so that everything will be correct and you don’t need to edit detail later. 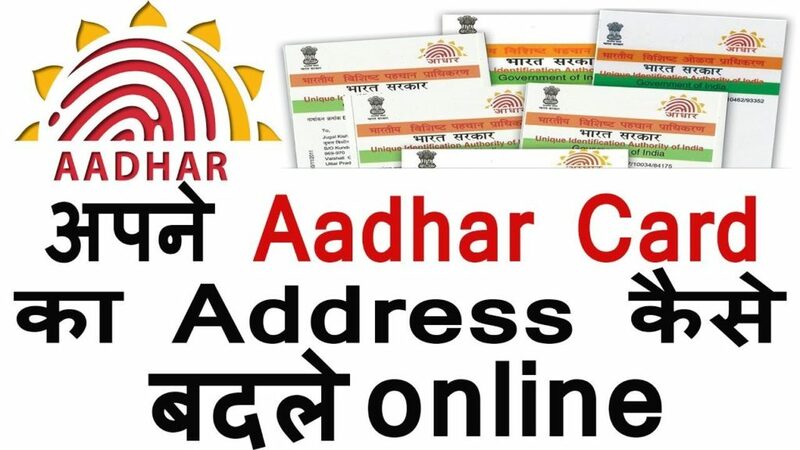 How to Do Aadhar Card Verification Online Simple Guide!